Today, the internet is a fiercely competitive arena. For a website to make it to the top of the search engine results page as well as to the mindset of its targeted market, it needs to be more than just appealing. It needs to have a sense of cohesiveness and balance as well as infusing a sense of curiosity that will entice both readers and search engine bots. One of the most efficient ways in making a web design more attractive is the use of PSD conversion strategies. PSD to XHTML or plain HTML, CSS or CMS-based mark-up language is continually being used by web developers and free tinkerers nowadays. Though PhotoShop data are already popular in terms of pixel-perfect pictures and fonts, these needs to be converted into an intelligible language that the worldwide web can understand and all browsers can load successfully. One commonly used conversion tactics is from PSD to HTML for plain CSS and to XHTML for interactive ones. Usually done in the same traditional manner, Photoshop data or files are converted into web-friendly HTML or XHTML mark-up language to produce semantic codes that the worldwide web can understand. The very key that makes web pages to load faster regardless of any browser or operating system to use is the CSS tool being used. You have to remember that readers want everything fast on the internet. The faster a website loads, the more convenient it is for them. Convenience is the very essence that drives people to run to the net and by doing necessary PSD conversion with necessary CSS code, you do not only develop a “readable” website but also one that loads at an ideal time limit. Though there is still an ongoing debate on which is better, XHTML1 or HTML5, one thing remains the same—converting your attractive PSD file into either HTML or XHTML/CSS will make your website more advantageous. 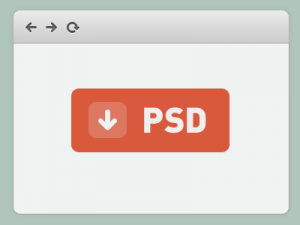 Another great conversion is from PSD to WordPress conversion. Most business owners and web developers today make use of blogging in augmenting links toward their website. WordPress is quite handy as it is readily available from open source. This means, easy installment and, of course, for free. Unlike PSD to HTML or XHTML conversion where technical knowledge is crucial, WordPress conversion from PSD is quite user-friendly and requires no programming background. By simply using a CMS tool, you can tweak a website’s content and make it more appealing and enticing to readers. Best of all, it can also be tagged as W3C compliant and fully backed-up with cross-browser compatibility and SEO-friendliness. Indeed, it has been proven time and time again that converting PSD to HTML or XHTML or WordPress or Drupal or Joomla is beneficial to a website design. But for someone who might be new in the field of website design or have no idea on tinkering with CSS or CMS tools, PSD conversion experts strongly suggest choosing professional conversion services. The key is to find one that can deliver the design you need and preferably one that can offer an affordable price that will fit your budget.